“Innocent Drinks are launching a new range of juices in PET carafes designed by packaging agency Family(and friends), with all new label graphics developed by B&B Studios. 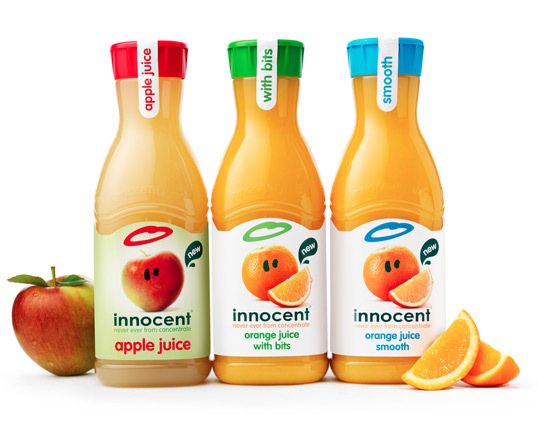 Innocent will launch its range of ‘not-from-concentrate’ juices this February. The range willl include orange,in ‘with bits’ and ‘smooth’ both available in 900ml and 1.35L sizees and a debut an apple juice recipe in a 900ml size. Its smoothies will remain in cartons. Innocent believes that the new carafes will have greater standout in the chilled juice aisle, that they will be easier for UK consumers to use and convenient to recycle. 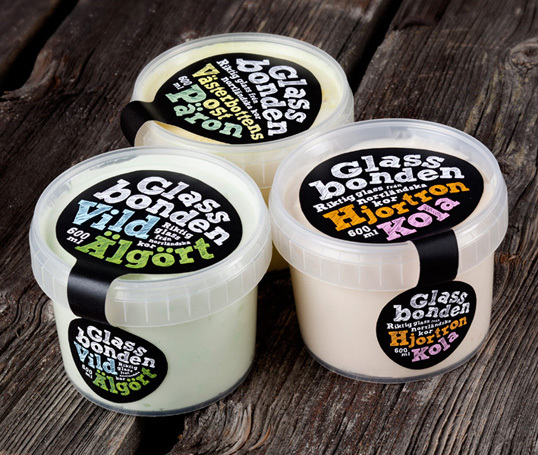 “Glassbonden (The Ice Cream farmer) is a premium ice cream brand from the village Selet in northern Sweden. The small, family-owned dairy farm produces ice cream exclusively made by the creamy milk from Swedish mountain cows. 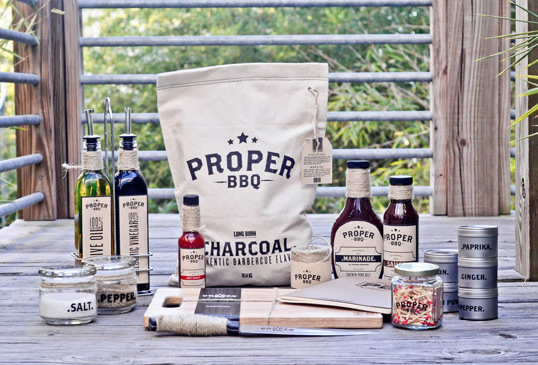 It is available in several natural and exotic flavors, including Wild Meadowsweet, Cloudberry and Vasterbotten cheese. “We really like the idea of this new brand and store concept – natural, organic cosmetics, which take care both of our skin and our planet. 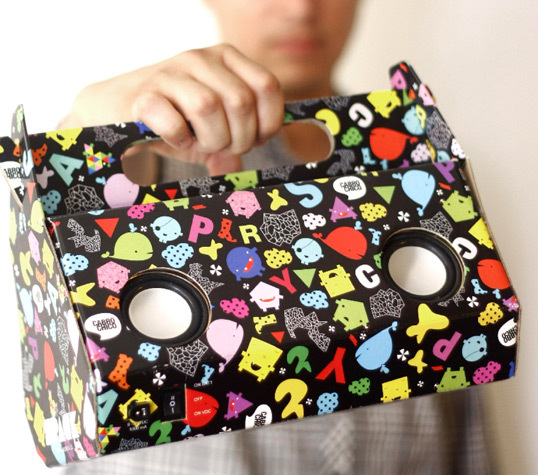 We were in this project from the very begining, and took part in many stages of brand and concept development. 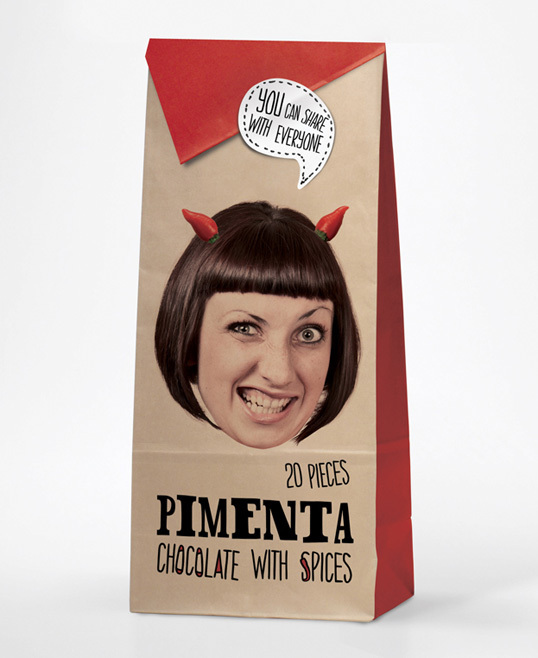 From brand idea, through naming, logotype design, preeliminary sketches of the store interior to the packaging. 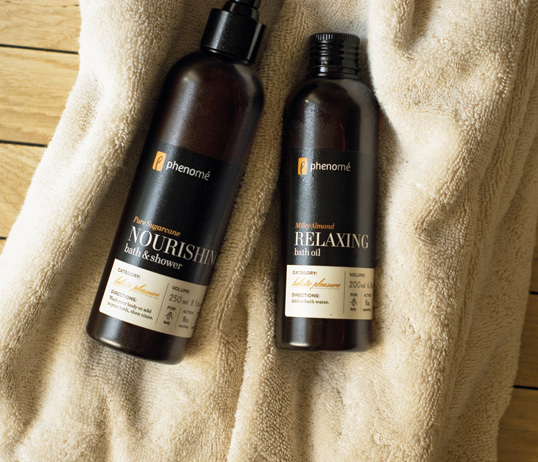 The main goal was to merge the idea of natural, organic products with high pharmacetical standards inspired by the scientific base which company holds. 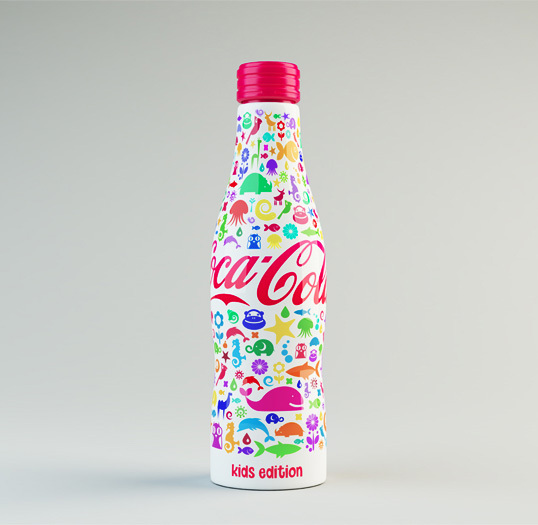 British Higher School of Art and Design in Moscow student, Shamil Ramazanov’s playful concept of a fictional product for Coca-Cola. 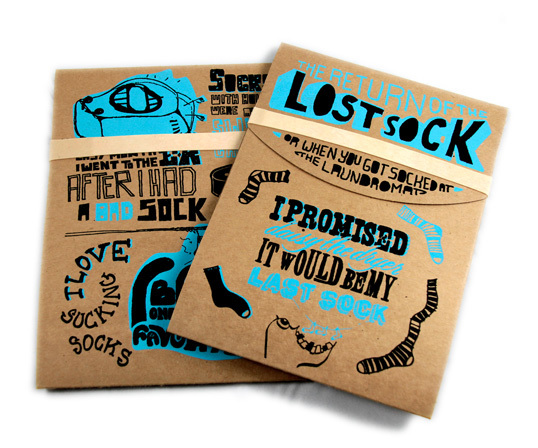 “Stefan Sagmeister asked his MFA Design class at the School of Visual Arts “Can design touch the hearts of strangers?” Bruno Zalum and Camille McMorrow interpreted the question with a wink, and decided to lighten the hearts of people in the midst of a truly dreadful experience: doing laundry! 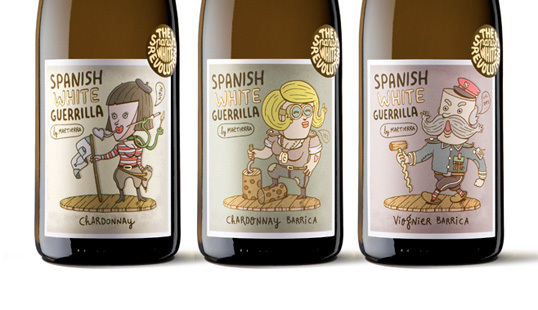 “This is the wine label that we (The Measure) developed to give to clients and suppliers as a thank you present. 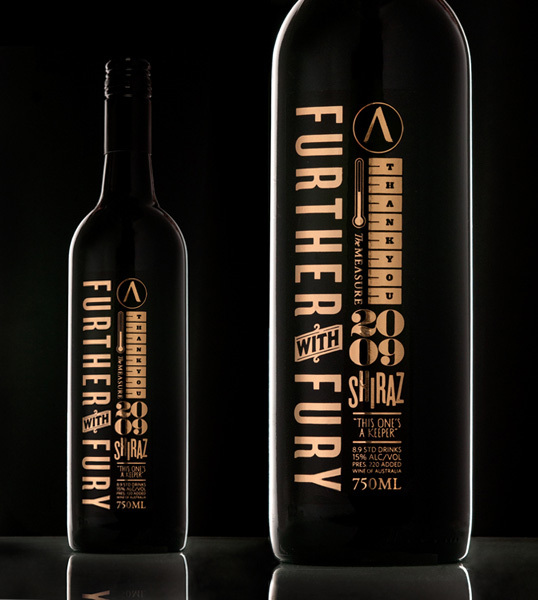 The label features a mixed typographic approach and is printed in super slick gold foil.